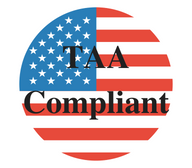 These TAA Compliant 3 Phase UPS provide uptime for critical applications and meet the requirements of the federal Trade Agreements Act. If you need help finding the right UPS for your application one phone call to us is all it takes. Eaton: Eaton is a leading global provider of comprehensive power quality and backup power management solutions, consistently delivering the availability demanded by today’s digital economy. Eaton solutions have been recognized by UPS users and industry experts for delivering the highest level of customer value and satisfaction in addition to demonstrating the most insight into customer needs among all UPS vendors. Toshiba: Toshiba UPS Systems, manufactured by the Toshiba Power Electronics division, offer a versatile range of three-phase uninterruptible power system solutions and accessories that offer outstanding performance and reliability. Toshiba UPS Systems provide mission critical power protection with their three-phase single module systems, which range from 13.5 to 2,000 kW, and three-phase parallel module systems available in 90 to 16,000 kW. Call 800-876-9373, or email sales@power-solutions. com, for more information on TAA Compliant 3 Phase UPS.